I live in Montana, hence the cheesy post title. I'm so excited to offer a new advertisement program starting in October! 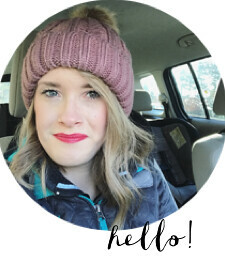 The heart behind this new program is encouragement: for me to be able to encourage and promote you, as we work together to encourage those who read our blogs! October is a big month for my blog, as I'm attending the Influence Conference - a blogging conference aimed at making much of Jesus through social media. And each month my blog is growing in readers, subscibers, and friends! The heart behind Life of a Pint-Sized Mama is to encourage my readers, impart God's grace, and build relationships. I write with the hope that those who read my blog will be inspired and drawn closer to Jesus. **FOR OCTOBER ONLY** I am offering 20% off for bloggers who are attending the Influence Conference, as a way for us to partner together!